John the Baptist burst onto life’s stage shouting, “Repent! For the Kingdom of God is at hand." Jesus entered soon thereafter, proclaiming the same message. to those original first century hearers or does it mean something for you and me? And if the Kingdom is for us, here and now, just what are the keys to enter in? 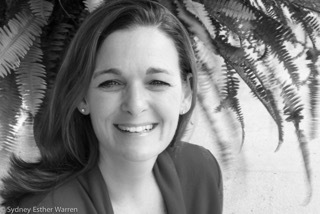 Join us for teaching from Monica Warren, author of "The Real Jesus" Bible study. She describes herself as a perpetual student, mediocre triathlete, lousy cook, devoted wife to one very patient man, and a proud mom of four (two birthed + two added through marriage). Monica lives in Mobile, AL; wishes she lived in the mountains. Goes around speaking of Jesus; hoping she’s starting to act like Jesus, too. 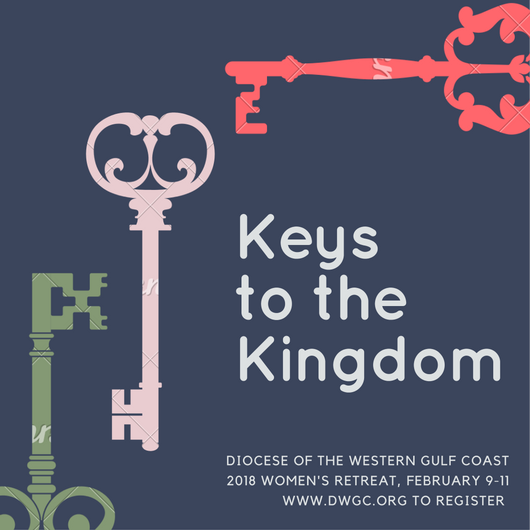 Get ready for a weekend away with your sisters from all over our diocese and prepare for a generous serving of encouragement, some spiritual equipping, and an extra dose of laughter as we discover together what it looks like to live as kingdom citizens. This year we will gather at Camp Blessing (just outside Brenham), formerly known as HeartlandRetreat Center, where we met in 2016 (and loved it). Please note: registration funds are not refundable. The program begins with registration at 4 pm on Friday and concludes on Saturday at 4 pm. Ladies are encouraged to stay an additional night for rest and fellowship. Everyone is greatly encouraged to attend church at their home parish on Sunday morning.